Prime Minister Narendra Modi Friday highlighted his government's "achievements" in space under 'Mission Shakti' and at grass-roots level through various social welfare schemes, and asked people to vote for an administration that can take concrete decisions and not just raise slogans. Launching his campaign for the April-May parliamentary election in eastern India with a rally in the Jeypore area of Odisha's Koraput district, Modi referred to the successful anti-satellite (ASAT) missile test under 'Mission Shakti' and said his government has put a 'chowkidar' even in space. The NDA government wouldn't have been able to do any development work in the country without the support of the people, the prime minister said as he sought blessings from his supporters for the 2019 Lok Sabha polls. He came down heavily on opposition parties who, he said, "belittled" 'Mission Shakti, which paved the way for the country to enter an elite space club. "Those who are criticising the anti-satellite technology will be given a befitting reply in the elections," he claimed, urging people to vote for a government that "can take concrete decisions, not the one that only raises slogans". 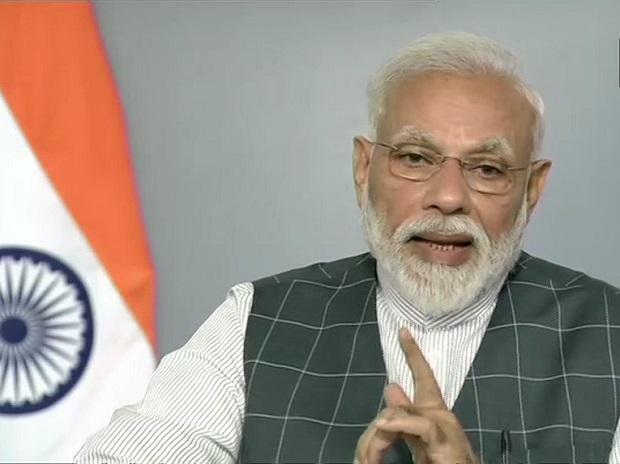 Referring to the surgical strikes in Balakot last month, the prime minister said it was "appalling" that the opposition parties sought evidence of the retaliatory air strike conducted by the Air Force on terrorist camps in Pakistan, following the Pulwama terror strike. "Should we tolerate this? Should we not punish them for insulting our scientists and defence forces?" the prime minister asked people who gathered in this south Odisha town to attend the public meeting. The PM stressed that development work in Odisha will be accelerated if the state votes the BJP to power in the upcoming assembly elections. "Odisha is rich in natural resources but people are poor. This proves that the subsequent governments have failed to develop Odisha. The BJD government has also kept the people of Odisha away from the benefits of the Ayushman Bharat scheme. It deprived the poor of their right to quality healthcare. "A double engine government of the BJP at the Centre and the state will benefit the people here. Odisha will become stronger only when the tribals, the farmers, the youngsters here, have proper means of income," the PM maintained. The Centre is striving hard to provide jobs and livelihood to farmers, women and youths, he said. "Five years ago, minimum support price was available for only 10 forest produces. It has been now increased to 50. Under the Mudra Yojana, the central government is providing collateral-free loans to the women and the youth," Modi said. Hitting out at the BJD government, Modi said that the ruling party in the state has been mired in multiple controversies. "Can those involved in chit fund schemes make Odisha strong? In the last seven decades, what did the state governments do to alleviate poverty in the state? "This is the right time to punish the Congress and the BJD, who had ample time to develop the region, but did not nothing noteworthy. They have failed miserably," Modi added. Election to 21 Lok Sabha seats and 147 Assembly constituencies in Odisha will be held simultaneously in four phases on April 11, 18, 23 and 29.